Have you considered including Nextdoor in your social media marketing mix? Interested in ways to explore advantages of Nextdoor to increase community engagement and brand awareness? 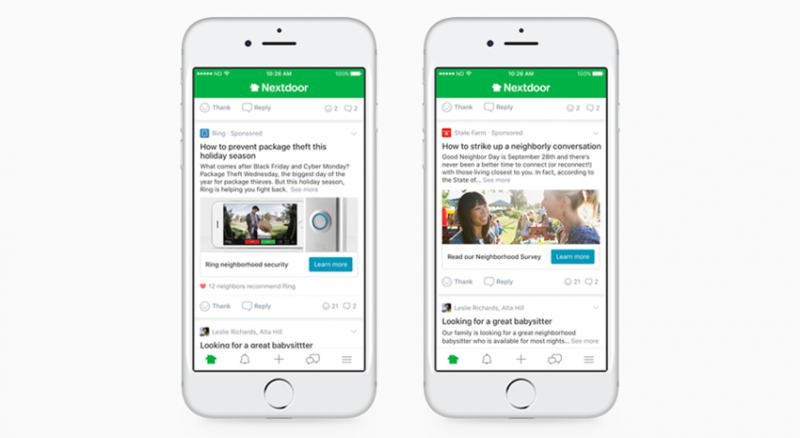 In this post, we'll look at how brands can use Nextdoor to increase community engagement and boost brand awareness. 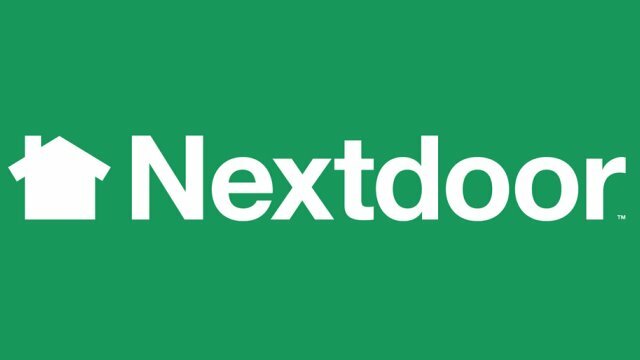 Founded in San Francisco in 2010, Nextdoor describes itself as "a private social network for your neighborhood". Whereas other social networks are focused on global scale, Nextdoor seeks to make social more intimate by creating many segmented, local communities. The app recently garnered attention for the role it played in connecting communities during Hurricane Harvey and other natural disasters, and it's become one of the fastest-growing social media sites in the United States, while it's also expanding into Europe. According to AdWeek, Nextdoor is closing in on 100 million total users. If Facebook and Twitter are where you go to connect with people around the world, Nextdoor is where you go to connect with your neighbors two blocks over, community services and local businesses. Nextdoor is currently being used in more than 160,000 communities across America. Increasingly, the platform is where people are turning to share information about crimes that have occurred, find trustworthy babysitters, ask for help finding lost pets and let a neighbor pick up the piano that's no longer needed. And while not as big as the major social platforms, Nextdoor is growing exponentially. According to co-founder and CEO Nirav Tolia, the company is growing 100 percent year over year, and has done so since its inception. Nextdoor currently covers 75% of the country, facilitates more than 4 million daily messages sent between neighbors, and recently expanded into Germany and the United Kingdom. It's not as well-known, but there's definitely a case for using the platform in your process. Because Nextdoor requires users to verify their addresses, it's a truly local social media platform. This makes it an invaluable source of timely and accurate information - and a powerful way for neighborhoods to build stronger, safer, happier communities. And the success stories are not difficult to find - neighbors have worked together to find missing cats. They've rallied around local small-business owners after tragedies. They've helped find criminals, plan community cookouts, save lives and more. The company was created to help people live better, and that's exactly what it's doing. It's for neighbors. It's for planning garage sales. It's for keeping the streets safe, increasing property values and making sure that people who live down the street or a few blocks down can call one another by their first names. And it can also an incredibly powerful tool for small businesses. One of the great things about Nextdoor is that it empowers small businesses with the ability to connect directly with the people who are most likely to need their products and services - the people who live in the neighborhood. Many people want to buy local, and Nextdoor makes it easier for them to do so. Nextdoor allows local businesses to create verified accounts, fill profiles with information about their goods and services and receive endorsements from people who live in the neighborhood. Word-of-mouth is still the most powerful form of advertising, and what better way to build your business than by getting the people who use your services (those who live in the neighborhood) to share their experiences with their neighbors? Reply to comments about your business. It's a truly powerful (and hyper-local) way to connect with people who are most likely to be and become your customers - unlike Facebook or Twitter, you'll know that the people commenting about your business actually live nearby and have likely actually interacted with your business. And the best part about it is that it is incredibly easy to use. Once you've claimed your business's local account, you'll be able to see comments and recommendations about you or your business - but only those that the users share with you. You'll also be able to see users' names, profile photos and neighborhood of residence, as well as the number of neighborhood pages on which you're listed. You're also shown how many people have recommended your products or services. It's a great tool for evaluating your business's reputation, expanding its reach and making sure that you're doing everything you can to grow. Nextdoor started allowing ads on their platform, in limited capacity, back in April, however you don't have to rely solely on paid options for promotion. There are ways to use Nextdoor's organic communications features to reach your target audience - though you do need to abide by the platform's rules for promotional material. Avoid unsolicited posts regarding your business in the news feed, since all users of Nextdoor residing in your neighborhood can see them. Nextdoor follows the policy of avoiding spam-like posts on every user's device. Relegate your event posts to the Events Calendar, as using the news feed to post about commercial events is a violation of Nextdoor's user guidelines. Use the Classifieds section for posting your "Help Wanted" ads. If you intend to hire people for your business, you should use the classifieds to post a job description along with the personal contact information. Always disclose your relationship to a business. Nextdoor values honesty. Avoid conflicts of interest. Provide genuine recommendations and answers about businesses and services to your neighbors. Also, be transparent about your connections, since Nextdoor likes to remain local. How Can I Generate Leads By Using Nextdoor? Promotion of your business through response to requests seeking recommendations. You can do it by offering services that you provide. 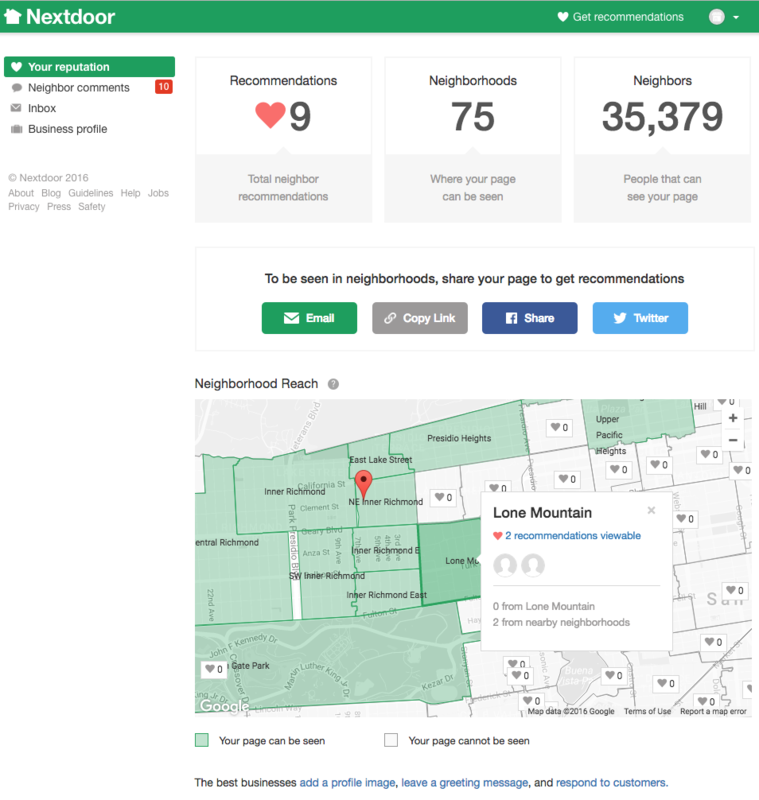 Creation of a business page on Nextdoor: It will display your business profile in your neighborhoods that are giving you recommendations. Paid ads. Nextdoor's ad options are still fairly new, and are only limited to certain businesses at this stage, but you can sign up for consideration here. Nextdoor provides local businesses a platform to receive feedback and recommendations from their neighbors and devise strategies that can increase local conversions. In short, building a brand reputation among neighbors is not an easy task unless you're open for mutually co-operative and symbiotic relationship with them.